Connie Prince Digital Scrapbooking News: Magic Monday winner, sales and a Freebie! Magic Monday winner, sales and a Freebie! The winner of last week's blog game is Laurie Q! Connie is sending you a coupon! We play a game every Wednesday so check back then and enter for your chance to win a coupon! Document your travels with the latest installment of Connie's Travelogue West Virginia! 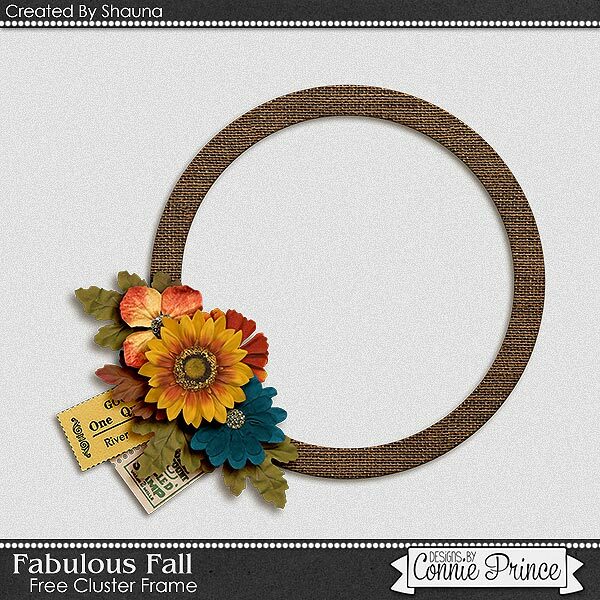 Shauna made this great cluster frame using Fabulous Fall for you! Thank you so much Connie! I love playing this game every week (and winning is fun too).